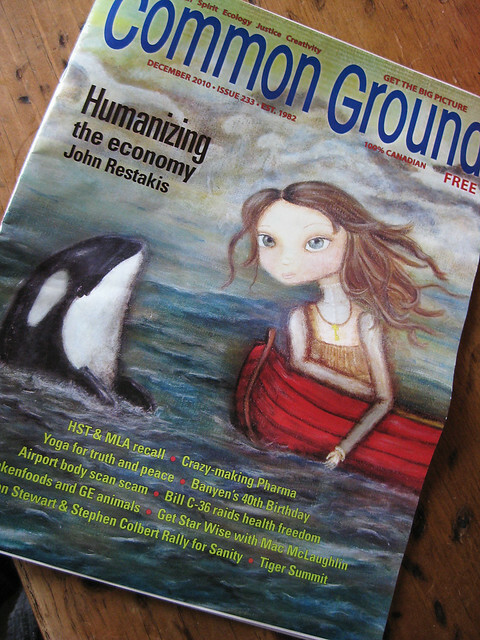 It may not be the cover of the Rolling Stone, but I was tickled to have one of my paintings, Sarah and the Orca, used as cover art for the December 2010 issue of Common Ground magazine. Holla! Previous postLast Market of the Year! 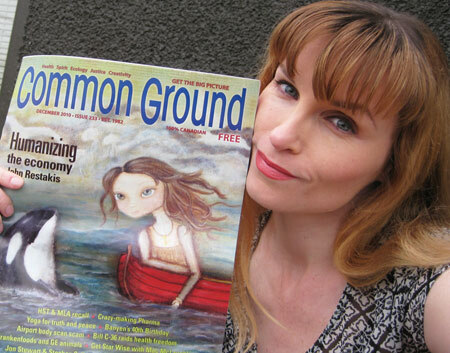 Wow Kristyl we are so proud of you, all your hard work, creativity and talent is being recognized! You deserve it.